Heritance Ayurveda Maha Gedara emerged the most energy efficient hotel in Sri Lanka by winning the the highest accolade awarded in the large scale hotel sector at the Sri Lanka National Energy Efficiency Awards 2012 which concluded recently. 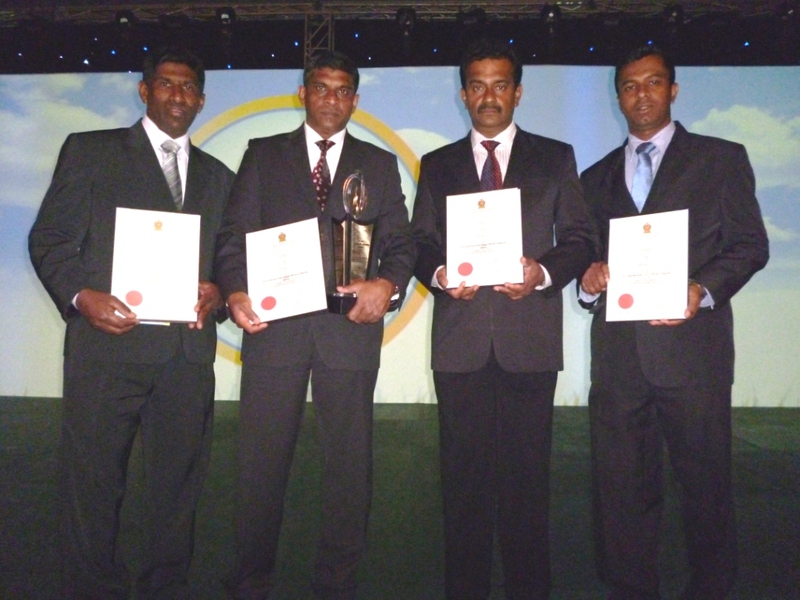 This is the second consecutive year that Aitken Spence Hotels has been recognized at the awards. Last year Heritance Kandalama emerged the winner of the Gold Flame award and this year Heritance Ayurveda Maha Gedara won the Silver Flame Award which was the highest accolade awarded in the large scale hotel sector. Situated on the southwestern coast of Sri Lanka, the former Neptune Hotel was recognized for the efforts taken to leverage on innovative strategies in the area of renewable energy. In addition to the Silver Award, Heritance Ahungalla and Heritance Tea Factory were awarded merit certificates in the large scale hotel sector category while Bandarawela Hotel was awarded the merit certificate in the small scale hotel sector category. The Hotels were honoured for their ability to demonstrate year-on-year energy reductions along with ongoing sustainability processes and energy management strategies. The Sri Lanka National Energy Efficiency Awards is an annual national event conducted by the Sri Lanka Sustainable Energy Authority for private and public sector institutions with the aim of recognizing their contribution towards an energy efficient Sri Lanka. “We are delighted to have been recognized for the efforts we have taken towards efficient utilization, conservation and management of energy. Our hotels are constructed and operate with a strong, focused commitment towards reducing the environmental footprint associated with the development and operation of a hotel”, said Mr. Rohitha Rajaratne, Vice President, Engineering, Aitken Spence Hotels. Heritance Ayurveda Maha Gedara recently broke new ground by being the first hotel in the country to enter into a Net Metering Agreement using solar photovoltaic as the renewable energy source. The Government of Sri Lanka approved the concept of Net Metering in August 2009. Net Metering is a special metering and billing agreement entered between utility companies and their individual customers which facilitates the connection of small, renewable energy generating systems to the power grid. In addition, the hotel also has a solar hot water system for pre-heating the water before it is sent to the heat exchanger which acts as a storage for hot water. This reduces the furnace oil consumed by the boiler. The hotel will be saving 1,417 liters of furnace oil annually thus mitigating its carbon footprint by 4.6 tonnes. The hotel’s biogas plant uses kitchen garbage as the primary source for the production of biogas which is utilized in the herbal preparation unit of the up-scale ayurveda resort. The group has a comprehensive energy conservation policy and has concentrated on reducing its dependency on fossil fuels by switching to renewable energy. In a first for any hotel in Sri Lanka, a biomass gasifier was installed at Heritance Tea Factory and thereafter at Heritance Kandalama. The gasifier reduces 750 tonnes of carbon emissions per year by replacing diesel with grilicidia wood. The use of locally farmed grilicidia wood instead of imported, and pollution causing, diesel not only saves the environment but also creates substantial employment opportunities for local farmers. The central heating and hot water in the hotels are supplied by this sustainable energy source. This not only reduces the carbon footprint but also paves the way to alleviating poverty by generating more employment opportunities locally while reducing the foreign exchange drained out on purchasing imported crude oil. Heritance Ahungalla, Sri Lanka’s first five-star resort, is the first resort to receive ISO 50001:2011 certification in the world. With the introduction of an Energy Management System, Heritance Ahungalla is now able to effectively manage energy consumption without compromising the guest comfort. It has enabled the hotel to meet the current and future mandatory energy efficiency targets and requirements of green house gas (GHG) emission reduction legislations. “Aitken Spence Hotels have been practicing sustainability even before the advent of the triple bottom line approach. We are proud that we have been able to follow in the trend that has been set for us by our sister hotels. This commendation reflects Heritance Ayurveda Maha Gedara’s commitment towards energy efficiency and we are delighted that our efforts have been recognized”, said Mr Samantha Gunarathne, General Manager, Heritance Ayurveda Maha Gedara. 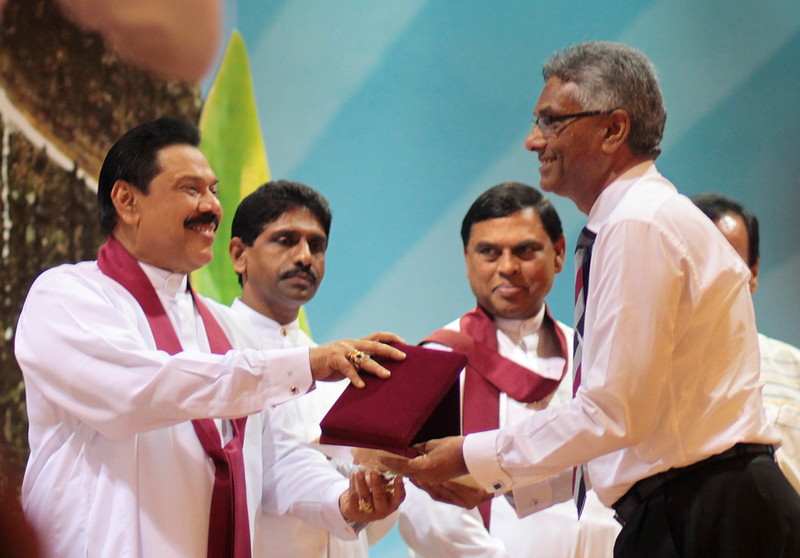 Aitken Spence managed – Elpitiya Plantations PLC, which comprise of 16 estates of tea, rubber and palm oil; spread across three regions of Sri Lanka was awarded the prestigious “National Plantation Award 2012 for Generating Hydro Power of RCP sector” by His Excellency the President Mahinda Rajapaksa at the National Plantation Awards 2012, held recently. The award ceremony was held to recognize the contributions made to the national economy by growers, industrialists, factory owners, regional planters and exporters in the plantation sector. Elpitiya’s diverse portfolio of estates include Dunsinane and New Peacock in the high and mid grown elevations and Deviturai and Talgaswela in the low grown elevations. The Company in 2003 initiated a project to reduce the cost of energy in its plantations by investing in hydro power. The project has over the years progressed to the building of two mini hydro power plant projects with a feeding capacity of 3560 KW and an average annual generation of 11.2GW to the country’s national grid. Elpitiya built its first hydro power project in 2008 whilst it took a stake in another hydro power project built on the Dunsinane estate in 2006. The third project will be commissioned in December 2012 with a capacity of 900KW, which is currently under construction and is anticipated to generate 2.92GW of green energy to the national grid. Mr. Tony Goonewardena, CEO of Elpitiya Plantations said, “Being recognised at the National Plantation Award for the efforts of our hydro power projects is encouraging to push forward similar sustainable investments. Elpitiya has prospered over the years and will continue to grow by taking key decisions that create and contribute value not just to the business, but to the community and the nation as a whole”. Environmental conservation is a key strategy for Elpitiya in the context of sustainable development. Apart from the growing of shade and other valuable trees on the estates, the company has set up water treatment plants in the rubber factories, developed systems for rainwater harvesting and also introduced several biological methods to control pest and diseases . Furthermore, the application of organic fertilizer on a sustainable basis to improve soil and preserve the environment has also been increased. Elpitiya has also taken several timely steps to reduce the cost of energy apart from investing into hydro power. Installation of several energy saving devices such as wood-fired hot water boilers, installation of capacitor banks in all the factories, installation of energy saving withering fans, have been some of the ongoing initiatives. Four more projects are in the pipeline of the Company’s initiatives, from which the expected total capacity of 2600KW, with an average annual generation of 8.6GWh is anticipated. Two of these projects have obtained all the necessary approvals, including the BOI approval. Diversified bluechip Aitken Spence PLC reported a pre-tax profit of Rs 918 mn for the first quarter, a growth of 25 per cent, over the previous year, while the Group’s revenue rose by 54 per cent to Rs. 8.61 bn. Earnings per share for the quarter stood at Rs. 1.58, an increase of 16 per cent over the corresponding period in the previous year. The leading conglomerate’s financial results for the three months ended 30th June 2012 released to the Colombo Stock Exchange on Friday, reported a growth of 16 per cent in profits attributable to the shareholders to Rs 640 mn. “We are pleased to report a yet another quarter of sustained growth. The enhanced performance from our Tourism and Strategic Investments sectors contributed strongly to the Group’s performance”, said J M S Brito, Deputy Chairman and Managing Director of Aitken Spence PLC. Aitken Spence PLC is an industry leader in Hotels, Travel, Maritime Services, Logistic Solutions and Power Generation in Sri Lanka, while having significant interests in Printing, Plantations, Insurance, Financial Services, IT and Garments. Listed in the Colombo Stock Exchange since 1983, the leading diversified conglomerate has operations in six countries spanning South Asia, the Middle East and Africa. Adaaran Resorts, the Group’s hotel arm in the Maldives performed exceptionally during the quarter. Aitken Spence is largest international resort operator in the Maldives with six award-winning resorts. With relatively higher occupancies than last year, Sri Lankan hotels posted an improved performance. The Company’s beach resort in Kalutara which was rebranded as “The Sands by Aitken Spence Hotels” subsequent to significant expansions and refurbishments, commenced operations in May this year. Aitken Spence Power’s plant in Embilipitiya was fully operational during the quarter under review. As an initial step in its commitment to significantly increase its interests in renewable energy, Aitken Spence has now commenced operations of a mini hydro power plant in Matale and a wind power plant in Ambewela. The Group’s first quarter results includes income from Colombo International Nautical & Engineering College (CINEC), Sri Lanka’s largest private higher education institution. Aitken Spence made investment in CINEC during the third quarter of 2011/12. Group benefited due to the devaluation of the rupee mainly due to its interests in hotels (in Sri Lanka and overseas), inbound travel and freight forwarding. During the quarter under review, Aitken Spence PLC conducted a forum to inspire its top management and sustainability team to explore opportunities in a Green Economy. The event “Going Green: Opportunities for Aitken Spence” was based on the 2012 theme declared by United Nations Environment Program (UNEP) for the World Environment Day – ‘Green Economy: Does it include you?’ The keynote speech for the seminar was addressed by the World Bank Country Director for Sri Lanka – Ms. Diarietou Gaye, who delivered a talk on an apt topic at hand; “Towards a Green Economy: Role of the Corporate Sector”. Hyundai Glovis Co. Ltd., the car carrier with a worldwide transport network, represented in Sri Lanka by Aitken Spence Shipping Ltd., a subsidiary of diversified conglomerate Aitken Spence PLC, was the first shipping line to explore the viability of transshipping automobiles via Magam Ruhunupura Mahinda Rajapaksa (MRMR) Port. The vessel “Asian Sun” of Hyundai Glovis arrived at the Port MRMR Port Hambantota on the 6th of June to discharge approximately 1000 units of Hyundai automobiles. Fitch Ratings-Colombo/Mumbai/Singapore-03 August 2012: Fitch Ratings Lanka has affirmed Sri Lanka-based Aitken Spence PLC’s (ASP) senior unsecured notes at National Long-Term ‘AA(lka)’ rating with Negative Outlook. ASP is the holding company of diverse assets in power generation, tourism, cargo and logistics, and services. The rating reflects ASP’s continued strong consolidated earnings and dividend inflows from its domestic power generation assets. Its 100MW power plant located in the township of Embilipitiya made a significant contribution to aggregate dividends in FY12 (year end March) and FY11. Further, this cash flow is assured over the medium term, as the power purchase agreement (PPA) between ASP and the State of Sri Lanka, which governs the operations of this plant, does not come up for renewal until June 2015. The Negative Outlook reflects potential project-related and commissioning risks on ASP’s new power-sector investments in Bangladesh, such as delays and cost overruns that could delay or impede expected project-cash generation and dividend payments. However, Fitch takes some comfort from the high quality of the stakeholders involved, strong demand for private-sector power generation capacity in Bangladesh as well as ASP’s track record in running similar operations. The Negative Outlook also reflects continued uncertainty surrounding the renewal terms of the PPA on ASP’s 24MW local power plant in Matara, and consequently the State’s medium-term stance regarding oil power-driven plants given their high generation cost. However, this risk is partly mitigated by strong growth of domestic electricity demand, the lower reliability of power plants owned by the State and potential commissioning delays to these State-owned projects between 2014 and 2016. ASP’s capex will increase considerably in FY13 and FY14, largely on account of its new power investments in Bangladesh. The company expects to fund a majority of these investments using debt, which will increase leverage (measured as adjusted debt net of cash/operating EBITDAR) at a group (ASP and its subsidiaries) – and ASP level. Despite this, the group’s current strong balance sheet is likely to help sustain medium-term leverage below 3.5x (FYE12 leverage: 1.5x).